Montell Jordan, Jackson 5, Gloria Gaynor, Chris Brown, DJ Casper and more. [Currently Rockin&apos; The :o( *becuz there&apos;s no link 4 this mix.... BUT THERE&apos;S MORE ?? YYAAAAAAYYYYYEEEEE !!!!!! 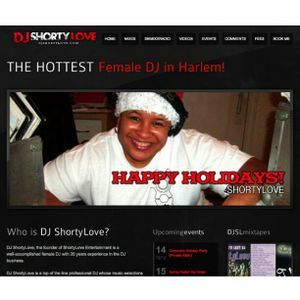 *[email protected]_ANONS #DJSHORTYLOVE4EVER !!!!! Unfortunately there may not be a download link for this coming but I got some more stuff to drop that will. Thanks I&apos;m glad you like. It was a fun party. OMG...this flow is SICK SHORTY!! You got a nice mix of all types of tracks!! This that fyah rite here... !!!! !